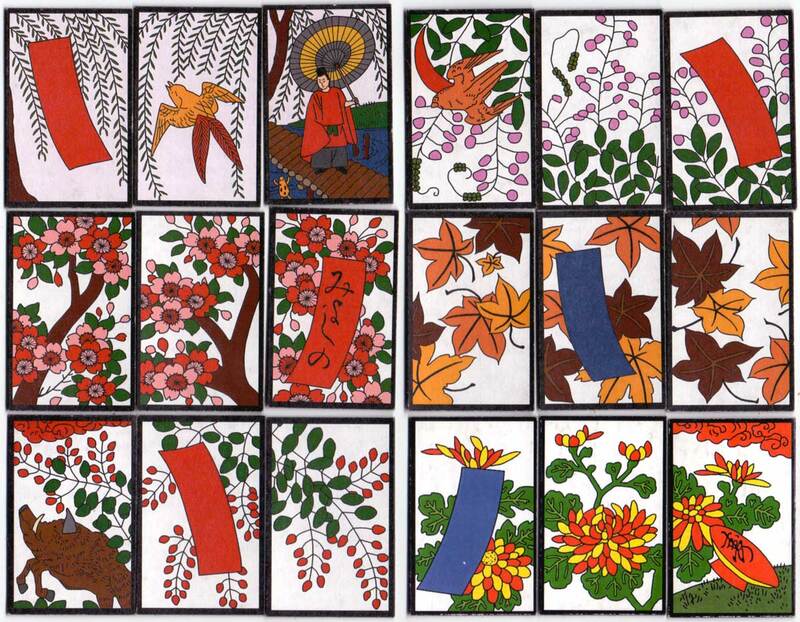 Hana Fuda playing cards based on 19th century Japanese originals. The 12 suits are named after flowers corresponding with the twelve months. 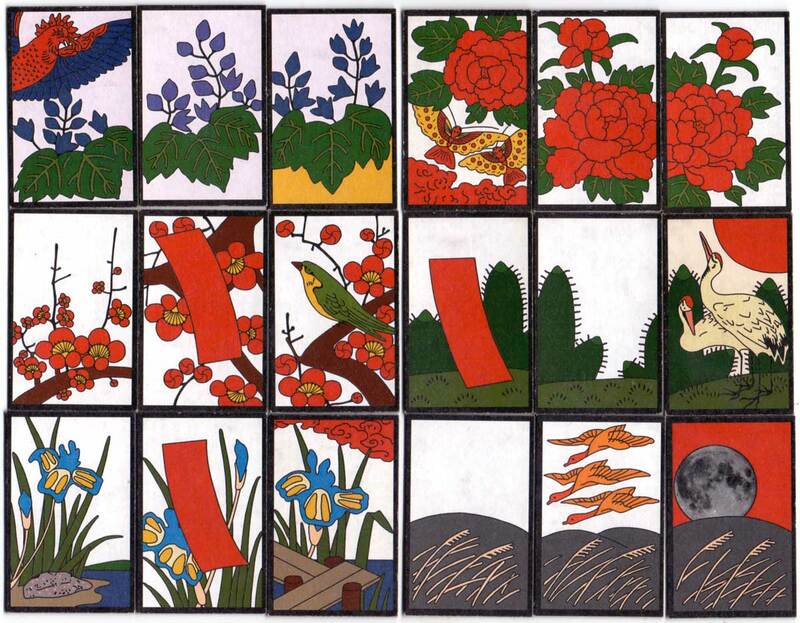 Above: a selection of Hana Fuda playing cards hand-made by Patricia Kirk, Mount Hood Playing Card Company, U.S.A., 2003. The total number of cards is usually 48, plus optional extra cards.